Awesome and unique sir ! Hey Marq, is the screen print of the image being sold by Rich printed by monolith? Or signed by you? More details to come on this print. I hope the answer to both your questions is yes. I see the Llama in the background!! Rich’s Llama Blues is a GREAT, GREAT little EP.. Took me a second to see the peacock!!!! Great work…. 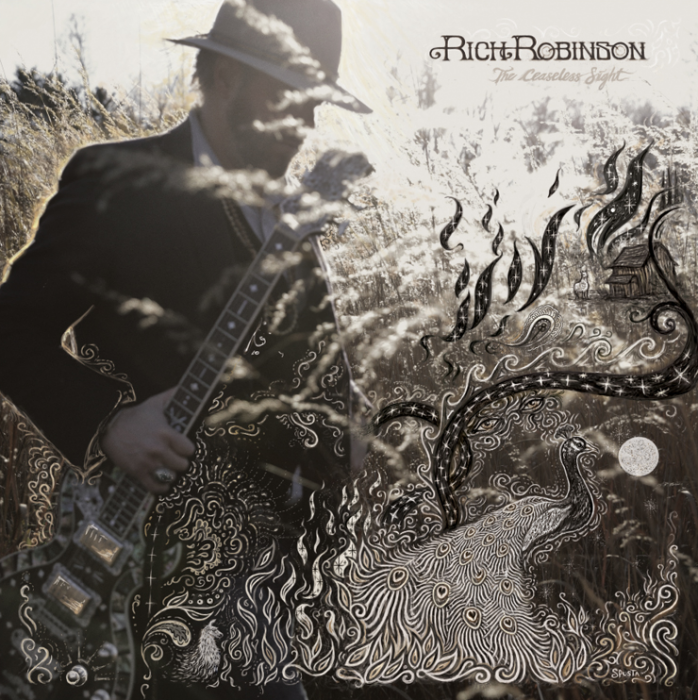 That the BIGGEST solo Rich Robinson fan NEEDS to add to collection! Oh..that’s a great cover. very cool.nice and bright.